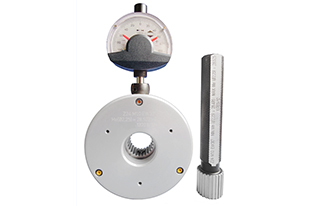 Ring Type Versa Spline Gauges are mainly used to check dimension over pins on an external splined component, however Ring Type Versa Gauges can also be used to check the Major or Minor diameter on an external splined component. These Versa gauges are typically supplied with digital Mitutoyo indicators which display readout of the dimension over pins, major diameter or minor diameter. Ring Type Versa Spline Gauges typically has two spring loaded balls locating on the feature they are checking. Spline Gauges also have the capabilities to produce Straight or Helical Ring Type Versa Spline Gauges to suit customer requirements.